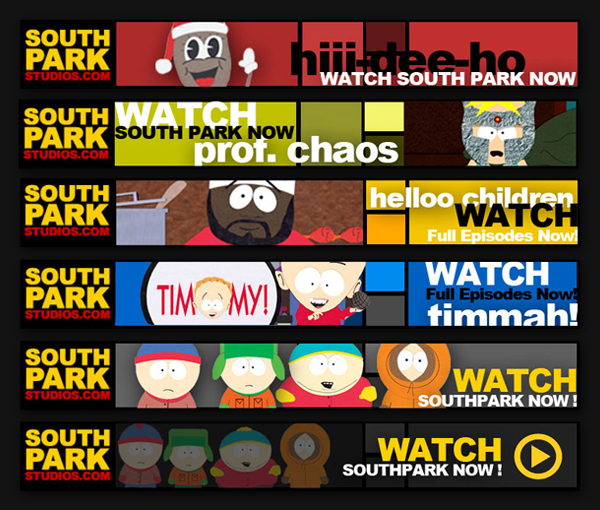 Southpark Studios wanted to promote the launch of their new website where they had added most of their legendary episodes for view. In order to drive more traffic to the site as well as promote the new material, we re-animated certain popular scenes such as: Stan’s dad playing guitar hero, butters being professor chaos, and Cartman trying to fly. The text and the background style was designed to correlate with their new style guide.